Whether it’s your first visit to Montreal or you’re an old timer, there is so much to cover in this city. 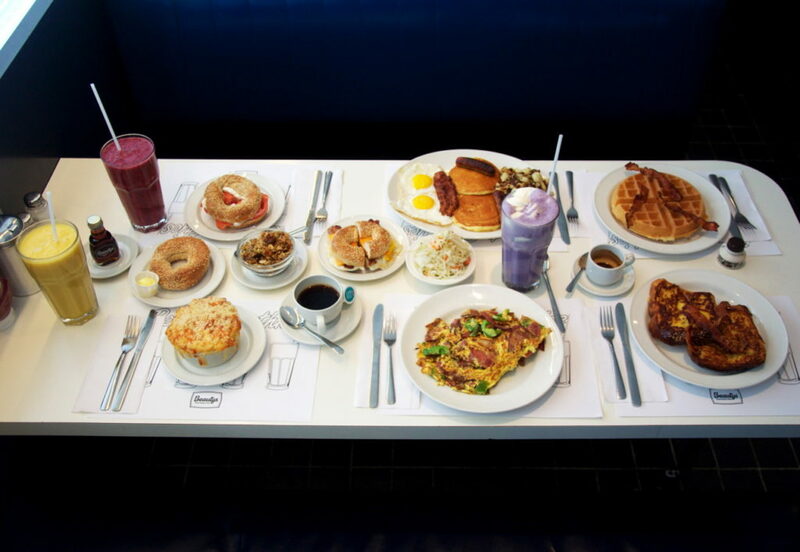 So with no time to waste, we compiled the best way to spend 48 hours in Montreal. Beauty’s has been serving locals since 1942, with one-of-a-kind items such as banana pancakes, salami omelets, bagel-lox-and-cream-cheese, yogurt parfaits, banana bread, and oreo milkshakes. Mount Royal park can be explored for hours on end, getting lost in its greenery and lakes. Every Sunday in the summer they have a drum festival. 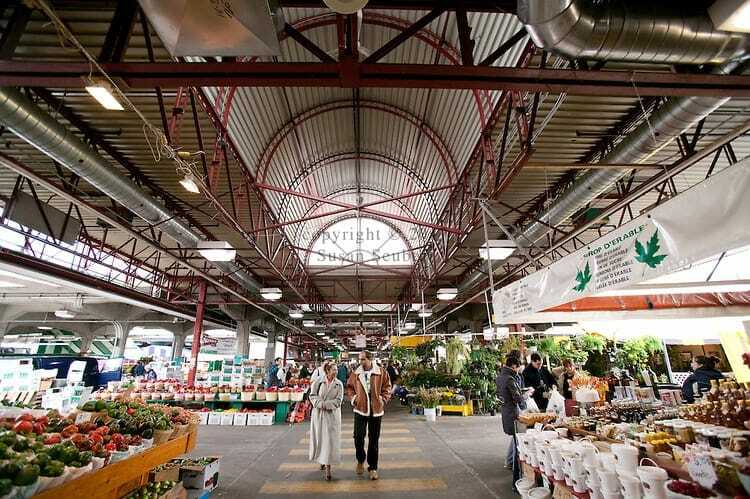 The Jean Talon Market is an open-air food market with both fresh produce and prepared food. There is nothing quite like grazing through the market and trying all of the city’s best vendors. The underground city is unreal, connecting several malls together without having to step foot outside since Montreal winter is a long and cold one. There is nothing quite like Montreal smoked meat, stuffed between two slices of rye bread. The closest spot in near the underground city is Reuben’s Deli. Crescent Street is the center of Montreal nightlife with tons of bars. Winnies bar is an iconic spot in Montreal and will ensure a night of fun with both a downstairs dance area and upstairs outdoor terrace overlooking all of the action. There is no better way to end your evening than with some munchies. 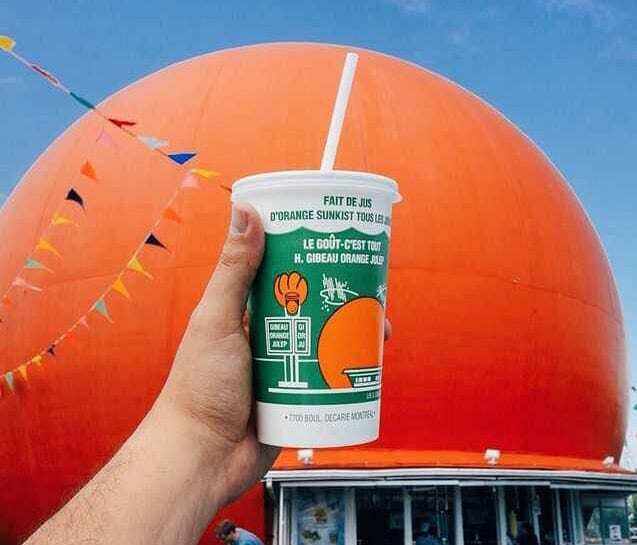 This giant orange is one of Montreal’s most popular 24 hour eateries. 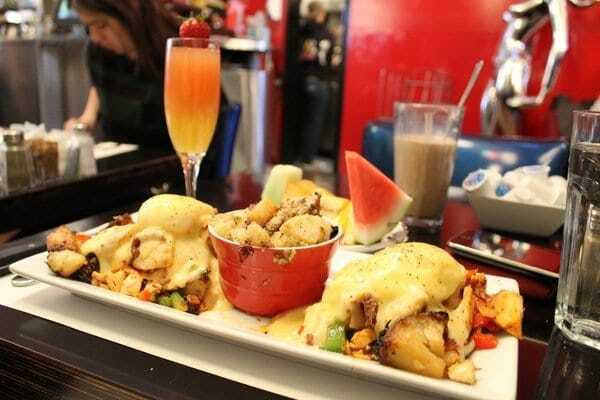 They serve classics such as burgers, hot dogs, and Montreal Poutine. But what really keeps people coming is their Orange Julep, a drink with a killer secret recipe. Since you’ve only got 48 hours in Montreal, so sleep in not permitted. 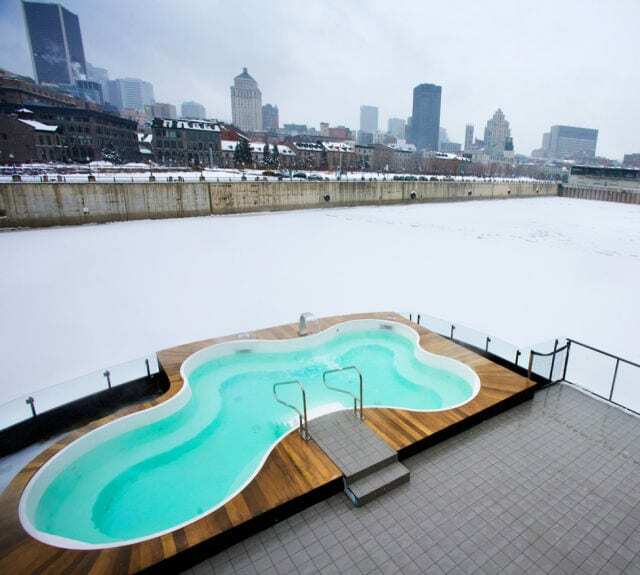 There is a popular spot in Montreal known by locals as the lookout. From here you can see the city skyline and is the perfect spot to watch the sunrise. The atmosphere at L’avenue will have you Instagramming like there is no tomorrow with colorful murals covering the entire restaurant and red diner-style seating. The menu is pretty much a never ending novel with creative menu items you never even dreamed off. The Plateau is a very trendy and artsy neighborhood, filled with wall murals and cute vintage shops and cafes. Even without buying anything, you are sure to have an exciting experience just strolling along the streets of Mount Royal, St. Denis and St. Laurent. 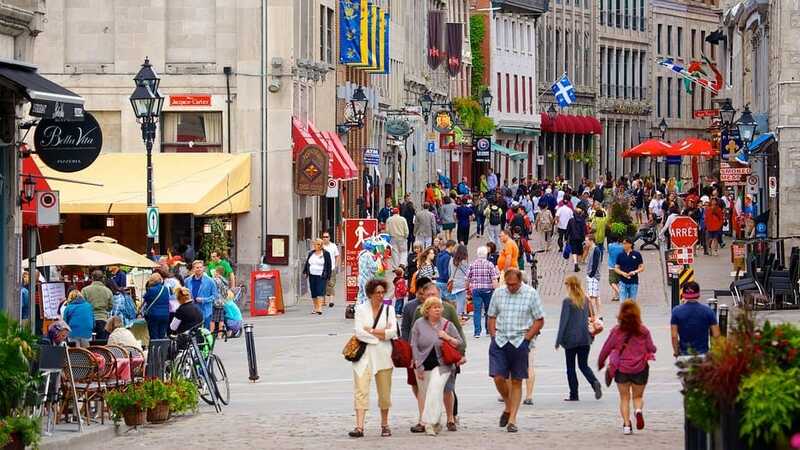 You will find endless souvenir shops, museums, art galleries, cafes and restaurants in Old Montreal. In the summertime, there are all kinds of events along the water such as ziplining. In the winter time, there are also events, such as free skating on the water. For lunch or a desert make sure to pay a visit to Olive and Gourmando, a cafe like no other. This water circuit spa will have you both completely mind-blown and relaxed, and although you think you can go to a spa anywhere and anytime, you have not yet been to Bota Bota spa with an outdoor hot tub on the water. Within Old Montreal, one of Montreal’s best steak houses is to be found in an old building that feels like a home. It’s a true Montreal gem. In the summer, Laronde, Montreal’s amusement park has fireworks in the evening. If you’re not too full, why not hit it up the park too. 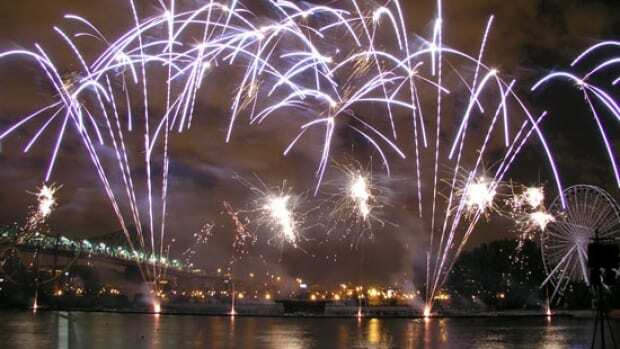 However, in the winter time, there are also fireworks in Old Montreal which offer a magical experience. There are some clubs in Montreal that only get started around 3 am, such as stereo club in the village, with top-notch DJ’s and vibes. There is no official closing time for this club. Montreal bagels are hand rolled and baked in a wood-burning oven. You have not yet tried a real bagel until you have a hot-out-of-the-oven sesame seed Montreal bagel. St. Viateur bagel is open 24 hours and you will not regret it.